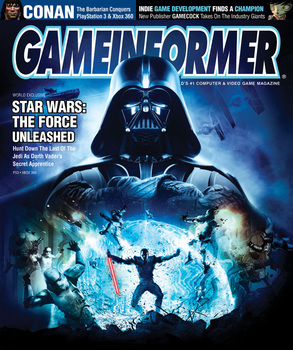 Just recently I broke down and purchased a subscription to Game Informer magazine. Although I love EGM, I chose Game Informer because the subscription was cheaper AND I got enrolled in the GameStop PowerUp Rewards, giving me discounts on games purchased at Gamestop and other various goodies. Reading through my first issue of Game Informer magazine, I’m reminded why I love reading through video game magazines to begin with. Aside from being constantly updated on various games that I may or may not want to invest in in the near future, video game magazines are also full of great creative material for writers. Each magazine essentially acts as a compendium of various stories, plots, characters and other creative tidbits to satisfy a writer’s craving for inspiration. Video games are majestic art form, although I’ll get into that in another blog post. 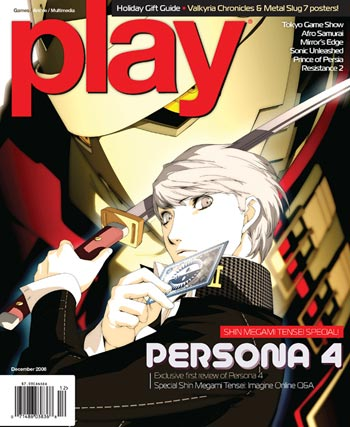 One particular magazine that I used to enjoy for this reason was Play magazine. Even though the magazine is now defunct (filing for bankruptcy in February of 2010), numerous issues of Play sit on my bookshelf as one of my favorite magazines of all time. Play combined reviews of video games, anime, manga and even movies. What’s great about using video games magazines for creative inspiration is that they always have a nice bit of visual aid to go along with the game’s story, so you can see what the creator’s are actually trying to convey. As sad as I am that Play magazine is defunct – although I am still hunting down the issues I don’t have so I can add them to my collection – I’ll continue my scouring of Game Informer for creative inspiration when my writer’s well is close to running dry. I love your blog's new look! And you integrate pictures into your posts so beautifully. Ah, I used to be subscribed to Game Informer, but now I'm not subscribed to any magazines (I'd really love to be subscribed to Writer's Digest, Shonen Jump, and Game Informer). Since lots of inspiration comes from video games and anime, Game Informer is also a way for my inspiration to build up. I've never heard of the other two magazines you mentioned, but they do look very interesting. Thanks, Tiffany! I'm glad you like the new look. I really liked Play magazine – before they went under – and EGM (Electronic Gaming Monthly) is pretty good as well. I simply aimed for the cheaper subscription.